Statewide Linear Bearings undoubtedly have the largest range of Ball Screws and Nut types in Australia. Our ex-stock range includes THK, NSK, TBI and a number of other niche manufacturers. 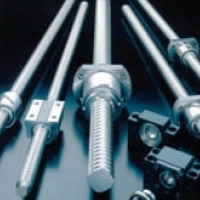 Ball screws are efficient mechanical devices for transforming rotary motion to linear motion. Ball Screws work by using a recirculating ball track on a spiral raceway for the balls to roll. Ball screws are very efficient at applying a high thrust load whether it be pushing or pulling but have a very limited moment load capability therefore in almost all cases require some lineal support or guidance system. Due to the minimal internal friction and higher precision they can be used in high duty cycle environments requiring a high degree of accuracy and repeatability. 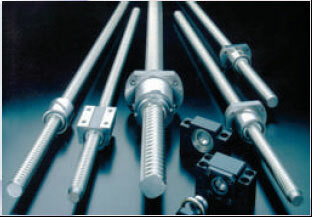 Be aware that ball screws and nuts are not interchangeable between brands but like the profile rails in some cases we can supply equivalents provided the screw and nut are replaced. Statewide Bearings are exclusive agents for NSK, THK & TBI Motion. Other products are available on request. Please contact your local Linear specialist on precision ground Ball Screw and Nuts. We also provide a service for specialist one off manufactured Ball Screws and Nuts. Order Specifications Data Form for Ball Screw & Nuts.